Medium - €66.99 Only 1 left! Rapunzel, Rapunzel, let down your hair to me. Has life got you all wound up? Is the stress of everything building, your workouts getting harder and harder just to blow off that extra steam? Are you starting to wish you could escape to a faraway tower deep in the woods, without cell reception, your laptop, or even wifi? Do you feel locked up in your cubicle? Does the daily grind leave you desperate to let down your hair and totally let loose? 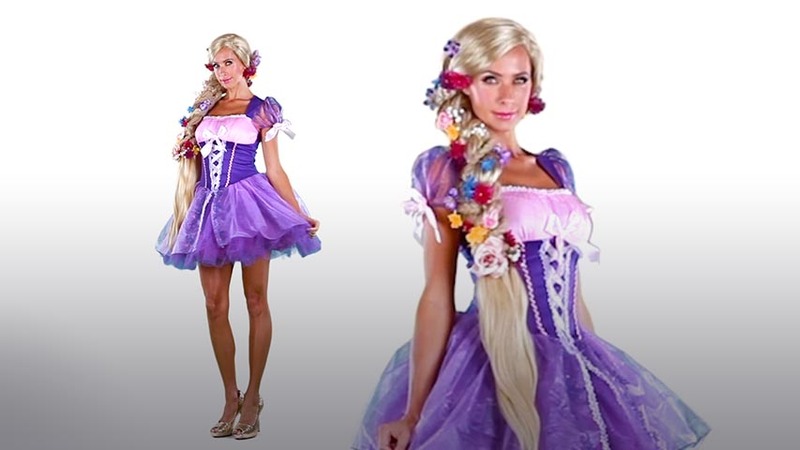 Well, princess, we may not be able to whisk you away to the woods (though there are some excellent vacation rentals this time of year) but we can help transport you to your fantasy life with this dreamy Womens Disney Rapunzel Costume. Just imagine getting away from it all for a night and becoming a Disney princess at the same time! We know you have a bit of magic in you, and it’s time to wrap the world up in your long locks and show it who’s boss. 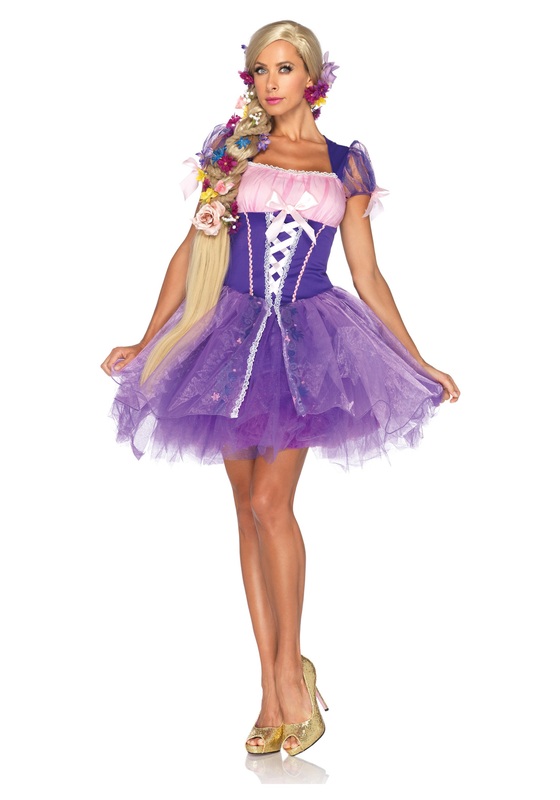 This iconic dress boasts a tutu skirt and purple, sparkly puff sleeves w/ pink bows--fit for a fairytale goddess! Accessorize with some sparkly golden high heels and a head full o’ luscious blonde hair and get ready to dance, socialize, even blow off Prince Charming. The world is yours for the taking--strand by strand--so lose yourself in an evening of the royal treatment.